Today was the last day of my market stall! Thursdays comic will be posted as normal, and my etsy will also reopen the same day. 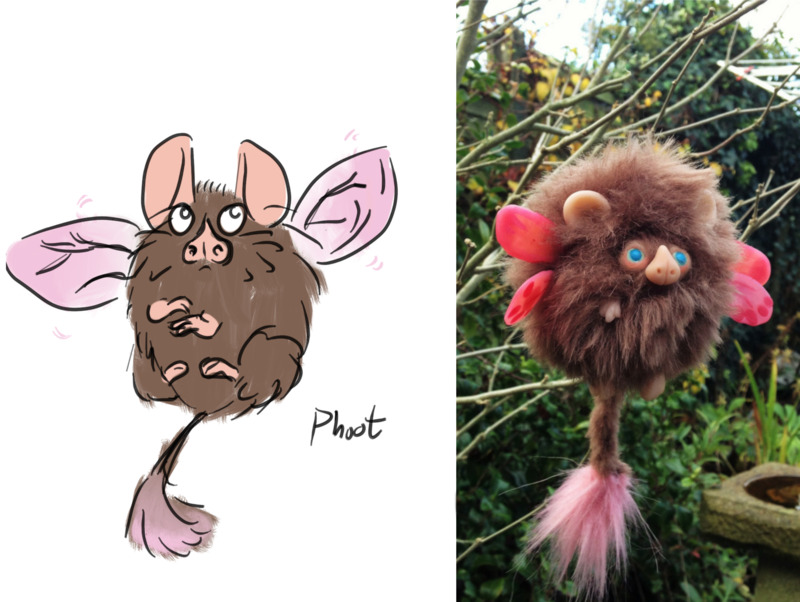 Because of the market I don’t have a new creature for you- but I do have some comparisons of my concept sketches I draw before I start making them, and the eventual creature you see on the site. I hope this is interesting! 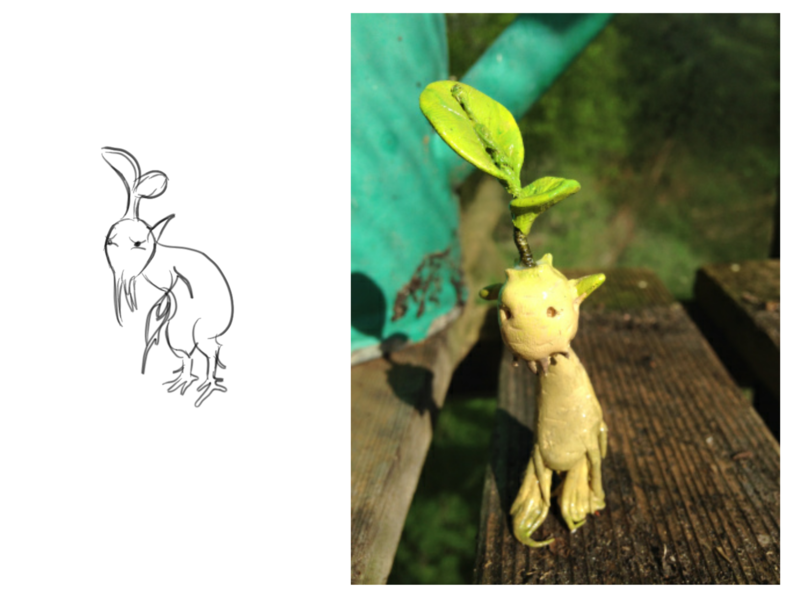 One of my earliest creatures, sprout was little more than a scribble. 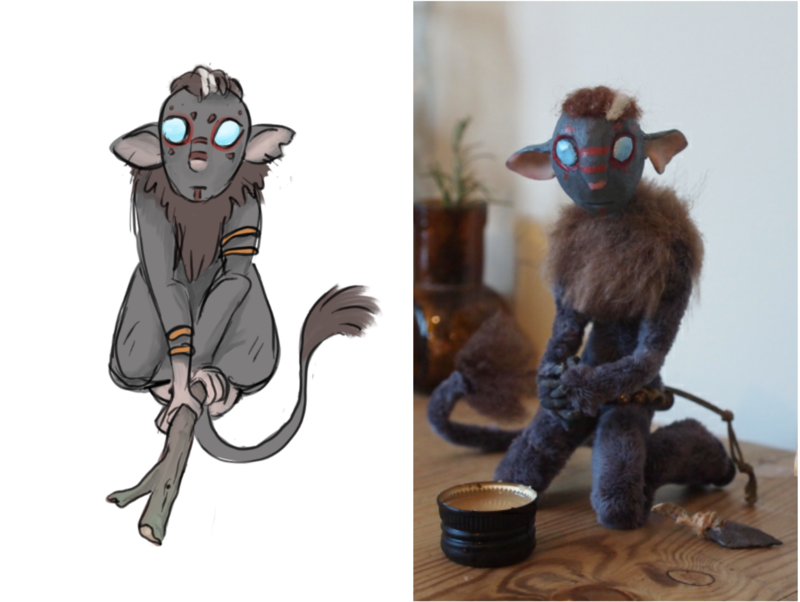 I think he turned out cuter? When is a hippogriff not a hippogriff? When it’s pretty much another creature entirely! I stayed pretty close to the sketch here, but couldn’t get the face the same. 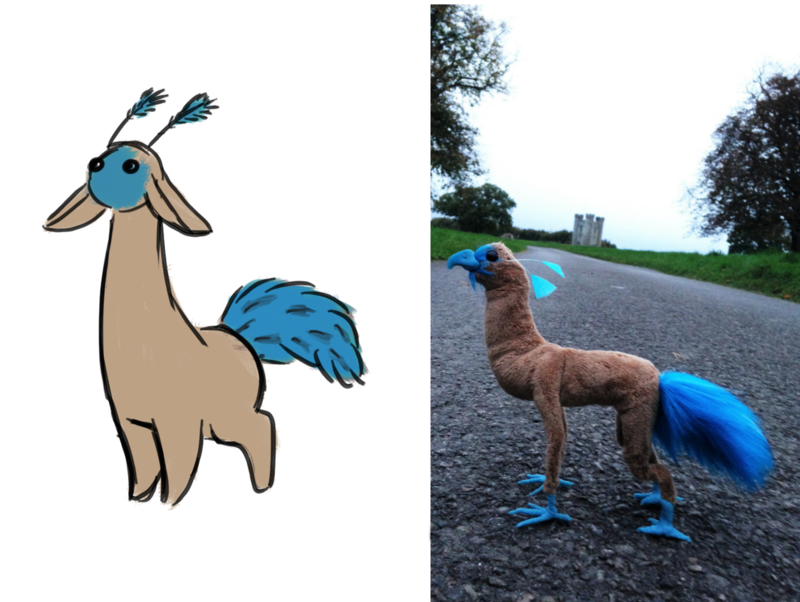 Hekbune: probably the closest to a sketch I have ever made. I drew him several times before attempting the model, so perhaps that’s why!